A app designed specifically to help you profit from your online presence. Save on things you need & want. While our mobile app is not fully developed it is fully designed and we have have tested a back end cloud services prototype for browser based access. 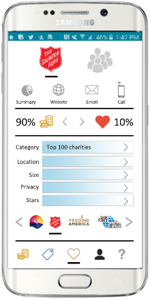 We are jazzed about delivering you a great mobile clients to advance against our peer-to-peer autonomy goals here is a sneak peak at the capabilities. Smart Profile: Make money building your profile. 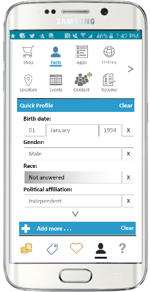 We have an easy-to-fill-out, anonymous profile with critical data that jumpstarts PowerMyData. As PowerMyData grows you will be paid to extend that profile with new data. The more data in the profile the more money you earn and you will get savings on what you want. Your profile even earns you money when you’re not online. Smart Inbox: An intelligent agent saves you time. Your anonymous data is used by advertisers to send you more relevant offers and discounts. Every offer is prioritized for importance to save you time and money. There is no need for you to try and find the most relevant offers or sort your messages. It is kind of like you have a smart person go though available coupons and then sort them for you to review. Then, you are paid to review those offers and you get the discount as well. 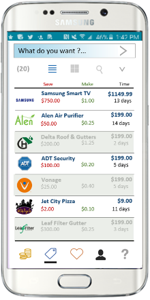 So you make money from reviewing the offers, save money from the discounts and coupons, and save time because the agent presorts all the messages. 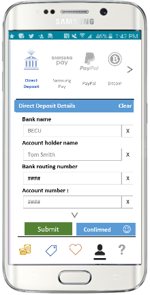 Digital Payments: Keep more of your money with Bitcoin support. Today, you lose as much as 4% on every money transaction. We support payment in cryptocurrencies like Bitcoin to make sure you get more of your money, more quickly delivered right to your wallet ot the wallets of organizations and people you care about. Redirected Payments: Support people & causes you love. Some people would like to redirect their earnings to another person, organization, or cause. We let you do that. If you have a son, daughter, grandchild, school or cause you wish to provide more support, you can do so without even writing a check. Your data & attention will benefit you and the people & causes you love most. Data Security: Get peace of mind. Our systems are designed from the ground up to secure your data from everyone, even from our own employees. Using cryptography, data isolation, and the separation of personally identifiable information from non-identifiable data, we ensure privacy from all prying eyes and keep the value of your data for you. Additionally, as we build out our DApp (Decentralized Application), we’ll be able to adopt decentralized data and cryptography consensus capabilities. This will ensure unequaled data security and availability. Most importantly, our generous profit sharing business model empowers consumers to realize real value of their data & attention. No longer will consumers have to share their valued data in exchange for commodity services. Furthermore, our cooperative model ensures your data is hard to commercialize outside of the PowerMyData service, greatly reducing current global appeal of stealing personal data. Our systems are designed so no hacker, client, partner, or employee can access your identifiable data in conjunction with your commercial profile. We do not collect data your unaware of, we do not build a secret profile by purchasing data from external sources to build a pro profile. You know the data you share and you own your data. We do not tell you what data you must provide in your commercial profile. You are fully in control at all times. You extend a license to us to resell only your non identifiable data. Finally, you are free to erase your data and leave our service any time you want.